Gerry Graf is getting the old team back together. The founder and chief creative officer of Barton F. Graf 9000 has hired Scott Vitrone and Ian Reichenthal, his former key lieutenants at TBWA\Chiat\Day in New York, as partners and executive creative directors. 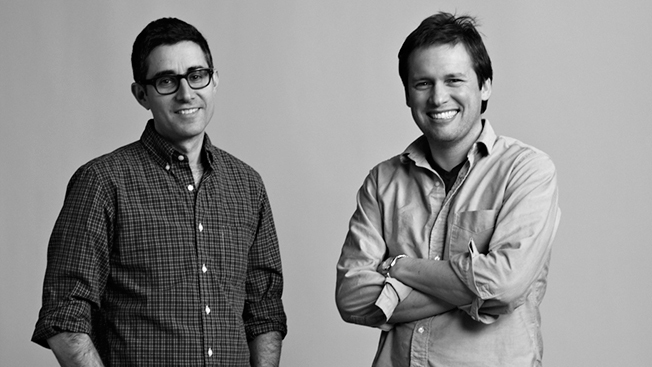 Most recently, Vitrone and Reichenthal ran the New York creative department of Wieden + Kennedy as co-ecds. At Barton F. Graf, Vitrone and Reichenthal will focus on what they do best: nurturing talent and creating memorable, character-driven and, at times, bizarre ads. The hires give the growing New York shop a total of three ecds. The other one, Brandon Lugar, also came from W+K. "Scott and Ian are hands down the greatest creative directors in the world," Graf said, in a statement. "It's almost unimaginable the effect they will have on Barton F. Graf 9000." A fourth ecd, Eric Kallman, has left the agency and is expected to take a top role at another shop. In fact, his decision to leave triggered Graf's move to hire Vitrone and Reichenthal. The shop employs more than 40 staffers, including 17 in the creative department. At TBWA\C\D, "Scott and Ian," as they're known in the industry, worked primarily on Mars, helping to create Cannes Lion-winning work such as "Sheep Boys" for Skittles and the "Man Mom" campaign for Combos. Their W+K work included the head-turning repositioning of Southern Comfort, which began with a stout man's proud walk on a beach. The duo parlayed their earlier creative success as group cds at TBWA\C\D into the opportunity run creative deparments: first at Young & Rubicam in New York, and then at W+K. Along the way, they diversified their reels, not only in terms of the types of brands but also in kinds of work. Since TBWA\C\D, Vitrone and Reichenthal have touched everything from Xerox and LG to Heineken and ESPN. And now they'll work across all Barton F. Graf accounts, including Dish Network, Kayak, Little Caesars, Unilever (Ragú, Bertolli and Wish-Bone) and Finlandia.